I am excited today to finally receive my sonic skincare system. It is a cleaning system for the face comprising a handle and various attachments. It is similar to the Clarisonic system but at a fraction of the price. I paid USD49 plus USD20 delivery. This is still a lot cheaper than Clarisonic which is about USD150. I bought it from the sirius website here. It runs on 2 AA batteries which are not included. It has a stand and five attachments. It is waterproof for use in the shower and I like that it is not a rechargeable unit. Great for travelling and less power plug ins in the bathroom. My bathroom already has 2 electric toothbrushes, hair straightener, dryer and radio and only 2 power points. The attachments are normal brush, sensitive brush, hydration and exfoliation applicator (which look the same) and a toning attachment. I will try it out for a couple of weeks and write a post on what I think of it. 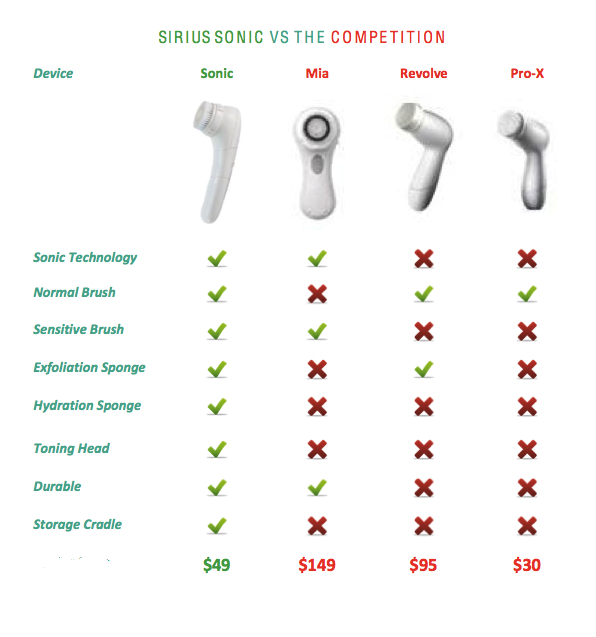 This entry was posted in beauty, shopping and tagged beauty, sirius, sonic skincare system. Bookmark the permalink.